iTalk is a full service solutions provider for the mobility industry, specializing in retail and wholesale distribution, master agent services, as well as providing turn key dealer portal and logistic solutions to our clients. We have positioned ourselves to stay ahead of the evolving mobile technology era through our focus on value added services. Through our extensive offerings, iTalk has set itself apart by implementing innovative solutions to carriers it serves. iTalk is a proud preferred distribution partner with the fastest growing Post Paid carrier in the nation as well as the number 1 fastest growing Prepaid Carrier in the nation. Through its extensive portfolio of capabilities and talent, iTalk is able to provide a turn key solution for the demands of today’s wireless industry and provide value added solutions to its growing network of resellers and e-commerce driven consumers. Our foundation is built on a solid distribution network, comprising of various channels enabling us to continue to source and develop innovative products and services while quickly deploying new emerging mobile technologies and brands into the marketplace. iTalk currently employs 30 people and is based in Norcross, GA with operations in San Antonio TX, Dallas TX, the Carolinas, Georgia and Miami Florida, with planned expansion throughout the United States. DELRAY BEACH, FL--(Marketwired - Jul 26, 2016) - iTalk, Inc. (OTC PINK: TALK) ("iTalk"). Management wishes to clarify and explain to the iTalk shareholders its decision to file Chapter 11 reorganization of its indirect subsidiary, United Mobile Solutions, LLC. I understand the concerns expressed by our shareholders regarding this action. I want to assure the Company's shareholders that this tactical maneuver, in this context, is a legitimate strategy to recapitalize debt. Chapter 11 is often inaccurately equated to Chapter 7, which administers the liquidation and demise of failed enterprises. On the contrary, Chapter 11 is a reorganization process that permits otherwise viable companies, overburdened with debt and other liabilities, to streamline their operations and continue forward. It is an efficient interim process that provides a period of time for the company to maintain normal operations and, with the assistance of creditors, guide management in decisions to maximize future value. Our objective, from the outset, was to reinforce the infrastructure of the Company's master dealer business division. This initiative sets the stage for virtually unlimited growth potential and delivery of rapid and tangible results to our carrier partners on a long-term basis; a move that translates directly into value for the Company and investment appreciation for shareholders. To achieve this objective, two hurdles had to be cleared; first, a corporate restructuring to assure adequate and continuing financial resources needed to build our distribution network, and second, deleveraging of the Company's balance sheet by reducing or eliminating debt and liabilities to attract needed equity investment. iTalk's situation is not unique. The telecommunications industry has experienced a dramatic shakeout within the last decade. Massive investments in network infrastructure, intended to meet a projected demand that never materialized, left many companies with crushing debt and insufficient operating revenues. A wave of bankruptcy reorganizations cleaned up the balance sheets of many companies in the industry, including some of its largest players. Among these are names like Charter Communications, Hawaiian Telecom, Integra Telecom, Teligent, and Cable & Wireless USA. Similar successes have occurred in other industries like manufacturing (General Motors and Chrysler Corporation), transportation (Delta Airlines and US Airways) and entertainment and publishing (Trump Entertainment Resorts and Tribune Group). Over the course of 5 years, a trillion dollars in debt was recapitalized into equity, cash or simply wiped out. From its inception just a few years ago, United Mobile Solutions LLC ("UMS") experienced remarkable growth and clearly demonstrated its ability to successfully establish and build a thriving wireless distribution network. However, diversification into wholesale device distribution and cellular telephone refurbishment distracted the Company from the focus of doing what it does best. Subsequent closure of these unprofitable divisions refocused the Company in the right direction but left it burdened with debt; frustrating its ability to obtain needed financing to fund high margin retail distribution opportunities. Unable to obtain adequate debt financing, management decided that it was in the best interest of iTalk's shareholders to pursue a course that would enable the Company to get back on track through equity financing; a far more efficient and economical stratagem. Earlier this year, the iTalk/UMS merger opened the door to access significant equity investment capital through the sale of stock to fund its new retail development strategy as a master dealer working in concert with its carrier partners. Over the past several months, the merger has been implemented and the Company has constructed a corporate framework to achieve management's vision of building a successful national distribution network. A final step in setting the stage for the remodeled financial platform is the reorganization of the UMS subsidiary under Chapter 11. This exercise will deleverage the Company's balance sheet and secure capital investment to realize its aggressive growth plan. We are confident that this model will prove to be a win-win for all shareholders, partners and stakeholders. DELRAY BEACH, FL--(Marketwired - Jul 11, 2016) - iTalk Inc. (OTCQB: TALK) ("iTalk" or the "Company"), a value added distributor and master agent for the wireless industry, is pleased to announce the assumption of three Arkansas high volume branded premium retail stores under its management and seven exclusive branded prepaid stores in Georgia, Texas and the Carolinas. Mr. David Lee, President of iTalk, said, "The transfer of these three premium branded stores in Arkansas to UMS allows for iTalk to continue its organic market expansion plan in a profitable market segment while strengthening its postpaid business. We are also excited to be able to demonstrate our team's ability to deliver excellent customer experience and operational efficiencies through the successful launch of the new prepaid stores." Mr. David Levy, iTalk's CEO, said, "The branded prepaid cellular program is a new market segment for iTalk. We believe it presents exponential growth opportunities for the Company." iTalk/UMS' first store in Nashville, TN!! Congratulations to the team and on the first sale within the first hour of being opened! Tennesee here we come! ITalk/UMS Store on Satellite Blvd, Duluth GA. Always clean and ready to provide excellent customer experience! Getting ready to offer customers in Lilburn GA (Burns Rd.) the best Prepaid wireless offerings in the country! Come see us this weekend! 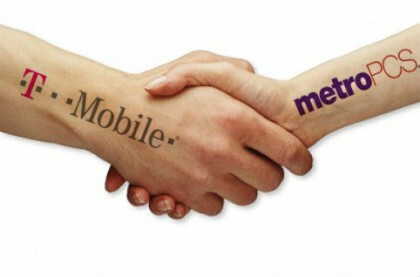 FREE SAMSUNG GALAXY ON5 WHEN YOU SWITCH TO METRO PCS! Another Gorgeous location in McDonough GA. Can't stop iTalk! Italk Mobility is pleased to announce our brand new mall kiosk in Lubbock Texas!! It is now fully open and ready for business!!! We are located right outside the food court with excellent visibility in one of the busiest areas of the only mall in Lubbock. The location is already trending to hit over 100 boxes their first full month!!! Congratulations to the team at our mall location!!! UMS/Italk Inc would like to welcome our first of 3 new East Texas locations in Palestine Texas!!! UMS/Italk was selected to launch this new market for MetroPCS and we plan on painting the town purple with our excellent customer experience and sales staff!!! Out new address is Palestine, 2020B Crockett Road, Palestine, TX 75801. We look forward to this East Texas partnership!!! Facebook post, setting up Kiosks at the mall in Lubbock, TX. UMS a wholly owned subsidiary of Italk Inc. is extremely excited to welcome it's 3 new MetroPCS stores in Laurens, South Carolina, Hendersonville, North Carolina, and Lincolnton, North Carolina. Laurens, SC has been on board for 1 week, and is currently at 78 new activation's for the week, (they are sitting at 17 acts so far today) that's amazing!!! Hendersonville,NC opened today and had 2 activations right out of the gate ( first happy Metro customer pictured below)!!! Sign spinners are spinning and flyering teams are out all weekend. Lets let them all know the best value in Prepaid has NOW arrived in their towns and cities!!!! Lincolnton, NC is putting the final touches on their beautiful store, and looking forward to having a great weekend as well! We are new to the area, so lets tell the PURPLE story!! Our sales reps provide the best customer experience in the industry and we look forward to Owning the MILE in these 3 new markets!! HUGE Thank you to all who contributed both on the UMS team, as well as the Metro team to insure the success of these 3 MetroPCS market launches!!! Stay tuned MUCH MORE TO COME! Mr. Levy boasts lifelong success as a technology executive, entrepreneur, and business-builder. Under Mr. Levy’s leadership iTalk, Inc. (TALK.OB) a publicly traded OTCBB company has placed itself as an state of the art innovative Wireless Technology Value Added Reseller (VAR) formed to develop and launch new technology and products in the global communications market. The company provides wholesale and retail telecommunications services, and products worldwide. From May 2004 to Feb 2012, Mr. Levy was the founder, Chairman and CEO of Inzon Corporation, an OTCBB Listed Nevada Corporation with its headquarters in Delray Beach, FL, a Voice Over Internet Protocol (“VoIP”) technology company providing complete voice, fax, data and conference call services on an ASP platform utilizing its own worldwide hybrid VoIP/TDM network. Prior to that, Mr. Levy was the President of GlobalNet Corp., a publicly traded (GLBT.OB) Nevada leading VoIP telecommunication Company. Mr. Levy was the founder and Chairman/Chief Executive Officer of Vox2 Healthcare L.L.C., a healthcare technology startup based in Deerfield Beach, Florida operating in the area of infrastructure and integration of broadband services via state-of-the-art satellite technology. Prior to that, Mr. Levy was the Founder, Chairman and CEO of SubMicron Systems Corporation, a NASDAQ-listed, worldwide technology leader in the design and manufacture of production systems for semiconductor wafers and integrated circuits. In his stewardship of SubMicron from Oct 1988 until his retirement in May 1997, Mr. Levy built Submicron into a $176 million global business entity, ranking fourth largest in its industry segment. Mr. Levy is listed in Who’s Who in the Midwest, Who’s Who in Leading American Executives, Who’s Who Registry Platinum Edition and Who’s Who Registry of Global Business Leaders. In 1992, Mr. Levy was accorded the Entrepreneur of the Year Award, Atlantic Division, an annual honor organized by Inc. magazine, Merrill Lynch and the accounting firm of Ernst & Young. Mr. Levy holds a BSME degree from Pontificia Universidade Catholica, Rio de Janeiro, Brazil (March 1969), a MBA from John F. Kennedy University, Orinda, California (March 1979) and a Florida Real Estate Sales License in Dec 2010 along with BPOR Certification in June 2012. Richard brings over 25 years of diverse financial accounting, systems and regulatory experience working directly with the world’s leading telecom organizations. He has consulted on rate structures, billing and financial reporting for AT&T, British Telecom, France Telecom, Hughes Communications, PanAmSat, and Retevision. Richard was responsible for leading the design and development efforts for implementation of U.S. ommunications Taxation Policies and related Billing System Enhancements for the North American subsidaries of British Telecom and France Telecom. Richard has been married to Lyn Dea for 40 years.40 years. Mr. Dea, joined inZon Corporation on July 1, 2004, bringing over 25 years of diverse financial accounting, systems and regulatory experience working directly with the world’s leading telecom organizations. From April 1990 to the present, he has served as president of SAE Group of Delray Beach, Florida, a company that develops software in connection with satellite operations. Mr. Dea began his career with Price Waterhouse where he served on the audit and tax staffs before focusing primarily on financial management and financial related litigation support in the Management Consulting Division (senior manager-in-charge). Mr. Dea holds a BS degree in Accounting from Florida State University. David K. Lee has over a decade of wireless industry experience with a proven track record of success. one of the fastest growing distribution markets in the US. In 2007, he established a prepaid payment terminal business that grew to 1,000 stores with annual revenues of more than $30 Million. In 2009, David Launched Cell Phone Depot, later to be renamed CPD Mobile. David began to strengthen the company to separate itself from competition and remain relevant in the industry by capitalizing on a high rate of acquisitions expanding the company’s overarching capabilities. David has since become a wholesale Master Dealer for TMobile U.S.A. and within only a few short years has taken the company to become top ten master dealers in the nation. Create a financially self-sustainable company through organic growth and strategic acquisitions. iTalk will make acquisitions to accelerate growth by identifying and then acquiring well-managed companies with strong customer bases and solid financials. These strategic acquisitions will enable iTalk to grow rapidly, and allow it to market its innovative products and services to the newly acquired customers. iTalk fully expects to market its products to the 200 million users that have recently purchased iPod’s, iPad’s and iPhones. iTalk is spearheading a wireless revolution to lower consumer’s monthly cellular and internet bills. iTalk’s long-term strategies and short-term actions are molded by a set of core values that are shared by each employee. iTalk will deliver operational excellence in order to meet and exceed its commitments to both its customers and its shareholders. iTalk is guided by the relentless focus on five imperatives and will constantly strive to implement the critical initiatives to achieve their vision. * Continuously develop and acquire new products in order to grow rapidly and to fulfill our customers’ needs. * Grow organically through direct online sales, and through the development of wholesale distribution, both domestically and globally. * Make strategic acquisitions and market to the newly acquired customer base to accelerate our growth. * Make our customer the top priority, through great service, affordable prices, innovative products and services and accessible customer support. * Deliver maximum shareholder value and avoid shareholder dilution.